The Children’s Heart Association of Cincinnati and Cincinnati Reds baseball go way back. For many years, then Reds owner and CHAoC trustee, Marge Schott, hosted the Red’s Rally to raise money for advancement in the treatment of pediatric congenital heart disease. This is CHAoC’s largest fundraiser to date. After her death, former CHAoC president Bill Heckman said, “Marge has done more than any other citizen to improve the quality of life in Cincinnati”. We are thankful to Marge for all she did to support the mission of the Children’s Heart Association of Cincinnati. 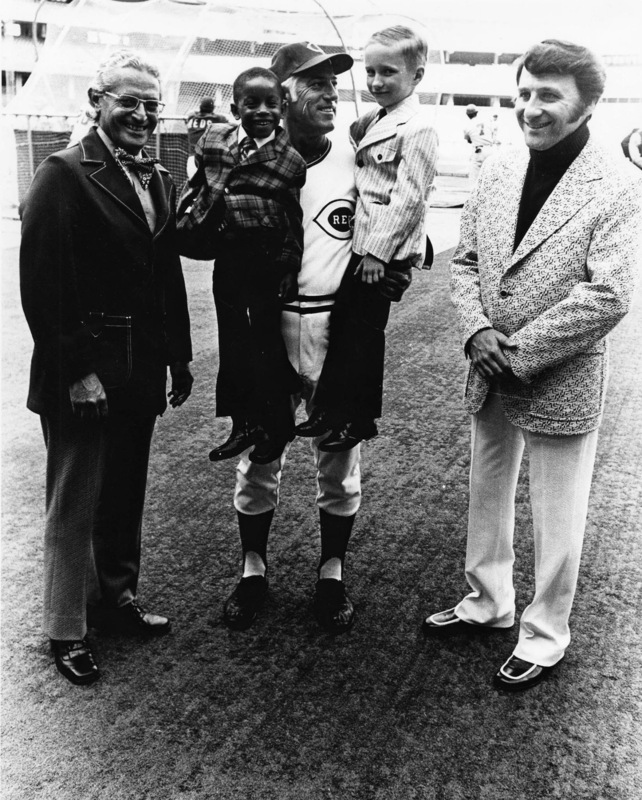 In 1973, Dr. Samuel Kaplan (left), Dr. David Schwartz (right) and heart patients of Cincinnati Children’s met Reds manager Sparky Anderson on the field at Riverfront Stadium during the second annual Reds Rally. The late Drs. Kaplan and Schwartz were both former cardiology division directors and trustees of the Children’s Heart Association of Cincinnati.